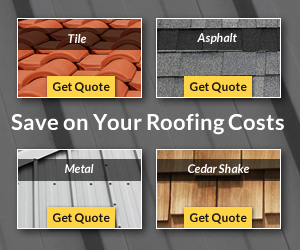 When it's time to replace your roof, you have some good roofing options to choose from. Asphalt shingles are the most common type of roof covering for homes and most smaller commercial buildings with sloped roofs. Asphalt shingles commonly last from 15-30 years depending upon the quality of the shingle and the expertise of the installation crew. With asphalt shingles you have a wide variety of colors to choose from. Wood shake and shingle roofs are distinctive and attractive. They can be smooth and uniformly shaped or rough and uneven. Wood shakes look natural and fit in well with homes in a wooded environment. They work really well with certain architectural designs. The disadvantages of wood shingles are they are usually more expensive than traditional shingles, they can be attacked by mold and mildew, they may attract insects, and they aren't as fire-retardant as other forms of roof coverings. Metal shingles are becoming more popular with residential homeowners. Metal is practical and recent improvements to the coatings have made them more attractive as well. Metal shingles are lightweight and durable. They stand up well against wind and hail. They are resistant to fading, won't rot and last a long time. Not every contractor is experienced with metal roofing, so you'll have to choose the right company to help you install a steel roof. Tile and slate are long-lasting products that have stately appearances and work well on luxury or distinctive homes. They're available in different styles to complement the home. They stand up well to extreme weather conditions. Slate and tile roofs can be heavy and require an experienced installer. Hawaiian Built Roofing specializes in replacing your old curled, worn, hail damaged or wind damaged shingles with something new. Based on your situation, they can either re-roof over your existing shingles as a form of a "re-cover" or take it all off and replace it completely. Gem State Roofing knows that a new roof system is a big investment. They strive to provide you a professionally installed, quality roof at a fair price. Quality Tile Roofing offers services in all areas of roofing including new construction, re-roofing and maintenance of industrial, commercial and multi-family facilities. These Boise roofers work throughout Ada County and will usually service Meridian, Caldwell, Eagle, Kuna, Nampa and Star as well. Boise roof contractors is a collection of qualified local professional roofers working in the greater Boise area. Boise roof repair company has the experience, personnel and access to all of the materials needed to re-roof your home. Boise Idaho roofer is a professional, licensed local operator that has experience in asphalt shingle repair, new construction, re-roofing and emergency roof leak repair in southwest Idaho. 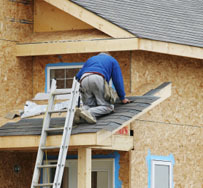 Roofing contractor in Boise can repair or replace shingles, trusses, flashing, ventilation, waterproofing underlayment, gutters and vents on your home or commercial building. Privacy and user information and take note of this site's privacy respects and use of site agreement. Email and contact info relates our website's e-mail page. Boston Plumbers can provide you with top quality plumbing services when you need them. SkylightInstaller.com is an experienced skylight and window installation service. Copyright© 2019 Boise - Roofing .com All rights are reserved.